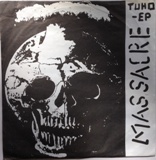 Hem » Vinyl & Tapes » Record Archive » Massacre – Tuho EP – Aaargh!!! 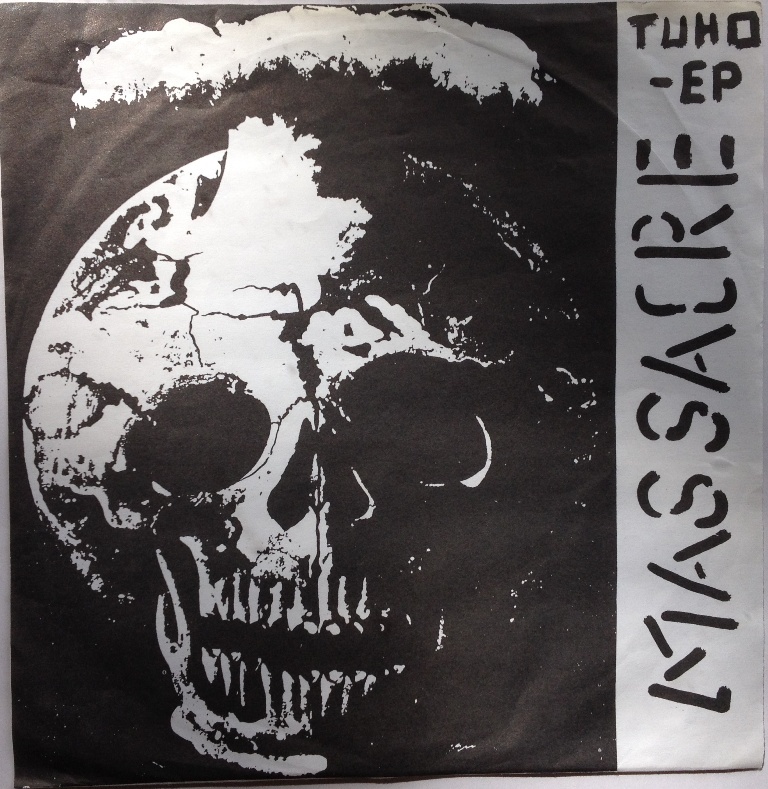 Massacre – Tuho EP – Aaargh!!! Tuho-EP is Massacres debut 6 song EP on their own label. Good true DIY. I did not remember how they sounded when I bought the EP so I took a chance – 1980’s finish HC is normally good. Frankly – it’s just to slow and to screamy for me. What also piss me off is that this release should have two inserts, printed on both sides. Mine has one insert – aargh!! Details like this piss me off as a collector! No more writing – here is a tune: Luuletsä Olevas Vapaa? (128 kbps) for if you like this mid speed stuff/HC. Aargh !!!! – Missing insert!!! I did not bother to make any scans, sorry – aargh!! !